Lalla Essaydi grew up in Morocco and now lives in USA where she received her MFA from the School of the Museum of Fine Arts/TUFTS University in May 2003. 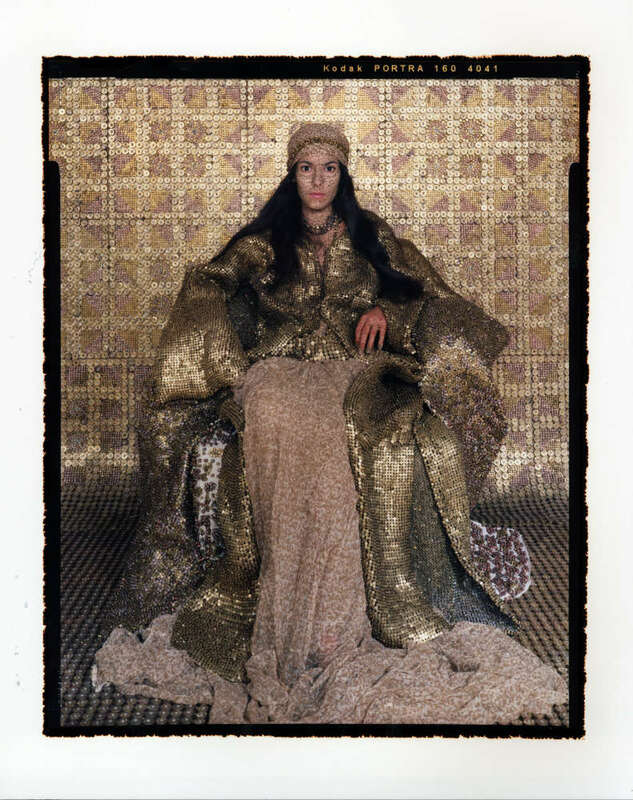 Lalla Essaydi’s photography has been exhibited in many major international locales, including Boston, Chicago, Minneapolis, Texas, Buffalo, Colorado, New York, Syria, Ireland, England, France, the Netherlands, Sharjah, U.A.E., and Japan and is represented in a number of collections, including the Williams College Museum of Art, The Art Institute of Chicago, the Fries Museum, the Netherlands, and The Kodak Museum of Art. 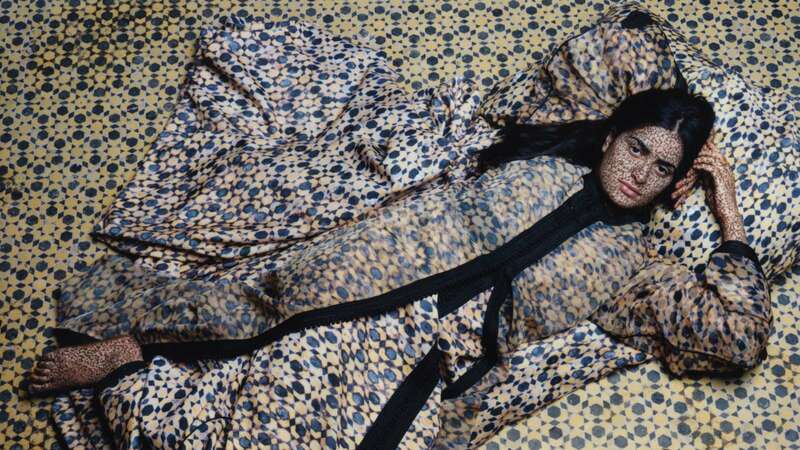 Lalla Essaydi’s art, which often combines Islamic calligraphy with representations of the female body, addresses the complex reality of Arab female identity from the unique perspective of personal experience. In much of her work, Lalla Essaydi returns to her Moroccan girlhood, looking back on it as an adult woman caught somewhere between past and present, and as an artist, exploring the language in which to “speak” from this uncertain space. Lalla Essaydi’s paintings often appropriate Orientalist imagery from the Western painting tradition, thereby inviting viewers to reconsider the Orientalist mythology. She has worked in numerous media, including painting, video, film, installation, and analog photography.